The limited-edition ‘KopparKeg’ is back, available from May 2018. We’re offering a new addition to our popular Summer line-up, with the launch of the Kopparberg Sweet Apple variant within the ‘KopparKeg’ range on 4th June. Providing five litres of our premium Sweet Apple cider on draught, this latest addition will join other ‘KopparKeg’ favourites – Strawberry & Lime and Mixed Fruit – on supermarket shelves from May to August 2018. 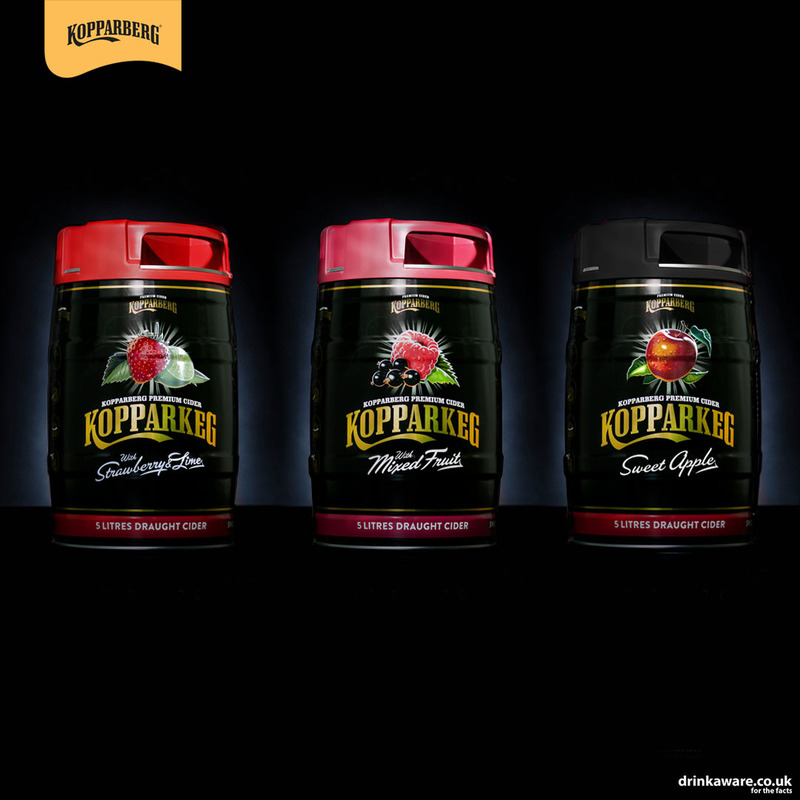 Best served over ice, the ‘KopparKeg’ has proven a welcome addition to our range since 2016, presenting the perfect option for sharing with friends and family throughout the sociable Summer months. Sweet Apple is the latest flavour to join our extensive premium fruit cider portfolio; launching in 500ml bottles in November last year, it balances the taste of sweet apples with a subtle honeyed aroma. The new shareable keg will be available exclusively to ASDA from 4th June until the end of July. Rob Salvesen, Senior Marketing Manager here at Kopparberg comments, “The KopparKeg launched in 2016 as an innovative and easy way for consumers to enjoy and share our refreshing fruit cider throughout the Summer. With the addition of Sweet Apple, we’re looking forward to being able to offer even more options for doing just that as the warmer months truly set in”.